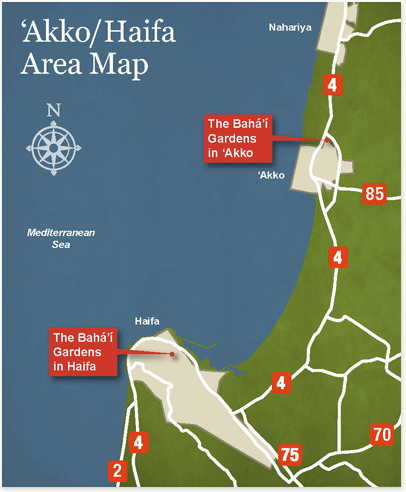 There are two Bahá’í Gardens, one in Haifa and the other about 16 kilometers further north in ‘Akko. The Bahá’í Gardens will be closed Sunday, 21 April and Monday, 29 April, due to Bahá’í Holy Days. The Bahá’í Gardens will be closed Thursday, 2 May; Friday, 24 May; and Wednesday, 29 May due to Bahá’í Holy Days. The Bahá’í Gardens will be closed every Tuesday from 09:00-12:00.